David’s latest customer thought nothing of covering his foot pedals with an offcut of decking, painted nicely to match the carpet and mat, and fastened neatly with tie wraps. 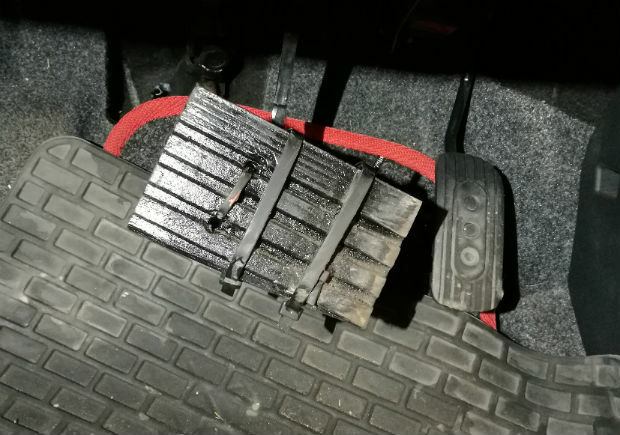 When David asked if the original brake pedal was damaged, the customer replied, “No, my foot keeps missing the pedal”. Epic fail without even having to test the car! Someone’s been squirrelling their nuts away judging by the suspension on this vehicle that was taken to Kevin’s MOT testing station. He found one nut was missing and another only finger tight. 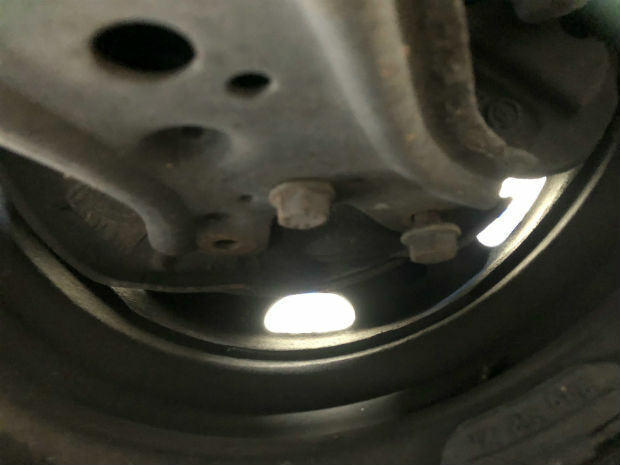 The ball joint holding the hub and wheel assembly could have detached due to the loose and missing bolts. If that had happened while it was being driven, the driver could have lost control of the vehicle. This could have caused a serious accident if the MOT tester hadn’t caught it. 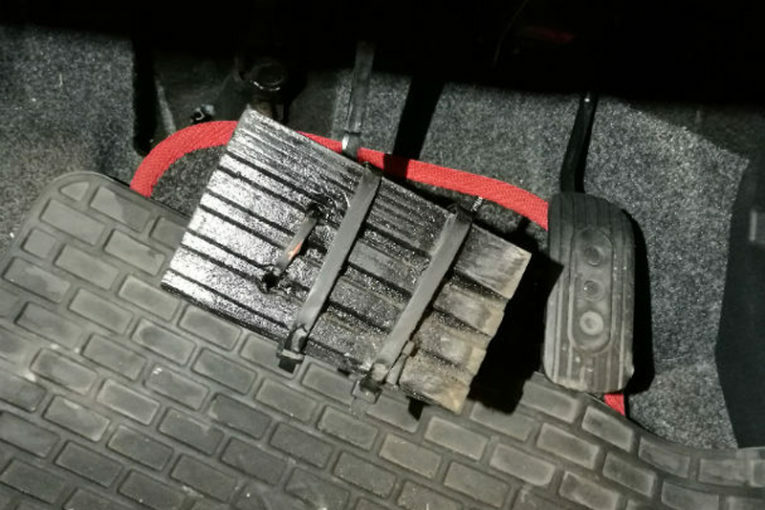 Under this car, the tester could see a broken wishbone so the wheel and hub were floating about – no wonder the steering didn’t work properly. It’s a good job that Simon’s garage spotted this, as the driver could have lost steering and the car could have crashed, injuring both himself and passengers. The really scary thing – this was a taxi! 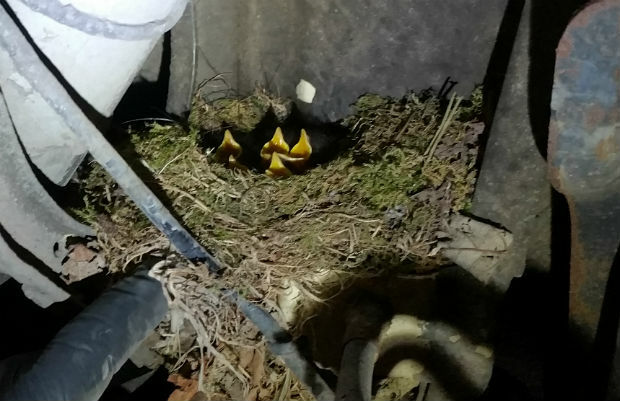 This MOT tester found five cute chicks nestled in this car’s suspension. Good job he raised a call to rescue them! 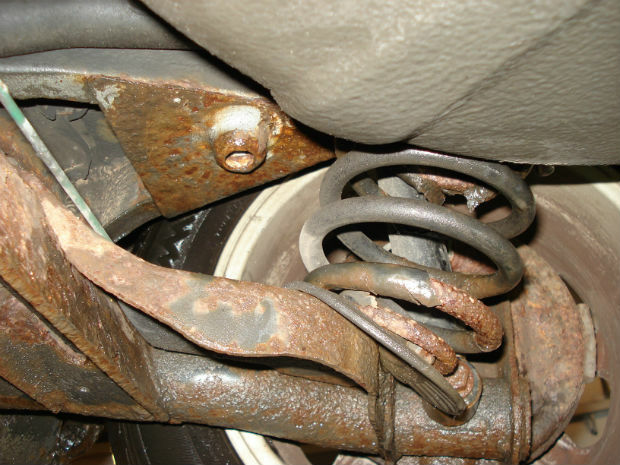 These fuel filler and breather pipes were almost mashed by the rear coil spring in this suspension calamity. 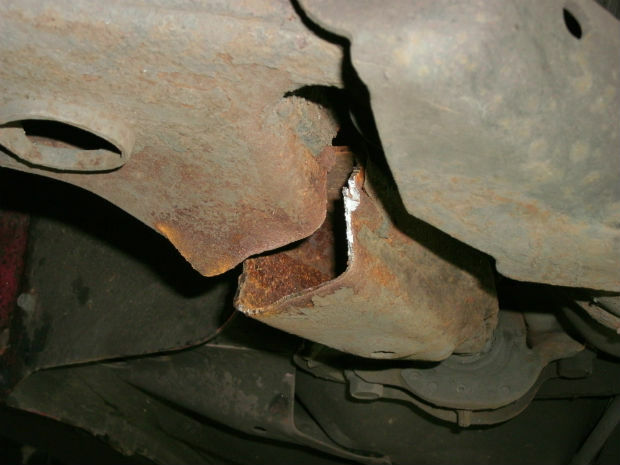 The owner of this 2003 Renault Clio had no idea, saying it “drove fine” and had been doing so for some time. If the issue hadn’t been pointed out, the car could have had a dangerous fuel leak. THINK YOU’VE SEEN WORSE? – Send in your own Horror Show entries to pmm@hamerville.co.uk, or share them with us on Twitter (@PMMmagazine) and Facebook. Be sure to check out the DVSA’s Matters of Testing blog for all the latest industry updates.